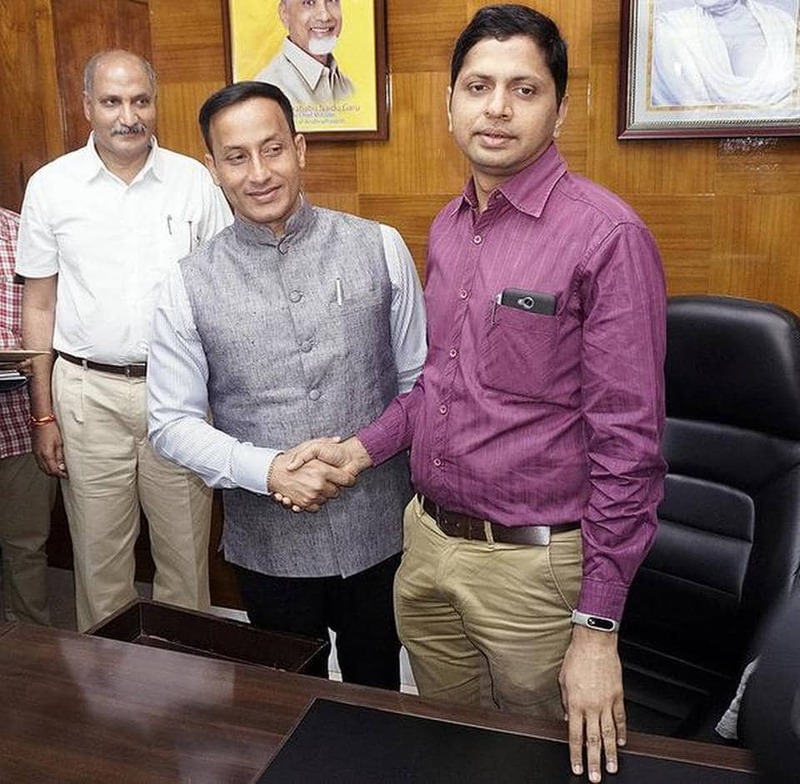 Katamaneni Bhaskar on Monday took over as District Collector from Pravin Kumar, who is going on transfer to West Godavari. Soon after assuming charge, Mr. Bhaskar participated in the Dial Your Collector in which Sandhya from Kotturu at Anakapalle complained against lack of drainage. The Collector wanted the local people to take part in maintenance for proper drainage and directed the Project Director of the District Water Management Association to take it up under MNREGS. Participating in the Mee Kosam grievance redress programme, Mr. Bhaskar instructed officials to upload all complaints online. Officials at all levels would not be granted leave on the grievance redress day on Monday. Officials attending the programme at the Collector Office should bring their laptops and carry on their office work and Wi-Fi connectivity would be provided. Mr. Bhaskar instructed officials of the Medical and Health and DRDA to hold a special drive to issue of certificates to the differently-abled. The Civil Supplies officials were asked to the status of pending ration cards before Janmabhoomi and the reasons for them. All correspondence in government offices should be carried out by e-Office in three months. Mr. Bhaskar later reviewed the arrangements for the Republic Day function with officials. The cultural programmes should be organised on 50:50 basis for government and private schools respectively, he told the DEO. Responsibilities were earmarked to various departments. For merit certificates only those who were not selected for Independence and Republic Days should be recommended. DRO Chandrasekhar Reddy and Assistant Collector Dinesh Kumar participated.